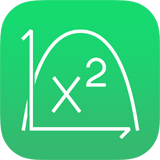 I am thrilled to announce that today, Quadratic Master 3.0 is launching in the App Store. It’s been a dreadful yet very fulfilling two months, and it’s great to finally launch it to the public. If you are in high school or if you do any algebraic math, this app is for you! Before I get to telling you all about the features, lets take a look at a short (46 seconds) video of the app in action. Alternatively, if you are on mobile, you might prefer viewing the App Preview right on the App Store page (here). Quadratic Master in action. For best experience, view it in full-screen and in HD 1080p.